Regina's family. 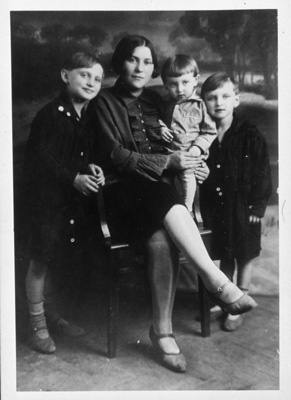 Left to right: Regina Kaver; Ruchel Liebhaber, Regina's aunt; Yitzchak Kaver, Regina's brother; Edith Kaver, Regina's sister. This photograph was taken in Warsaw, Poland, on October 12, 1927.